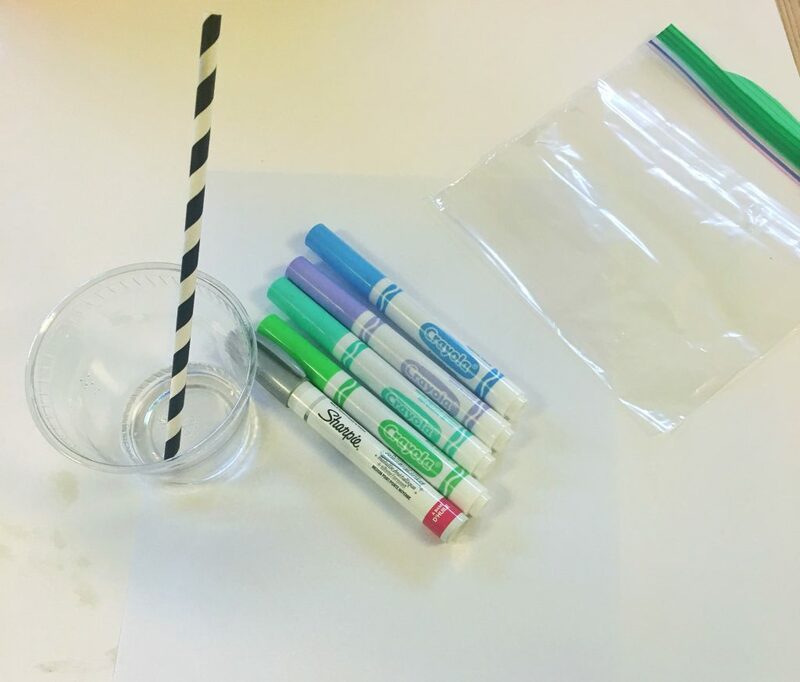 A fun and simple project to do by yourself or with your children is to take markers and turn them into water colors. On my Facebook page, I was challenged to see if Crayola Markers with a plastic bag and water could be used to create a watercolor background. 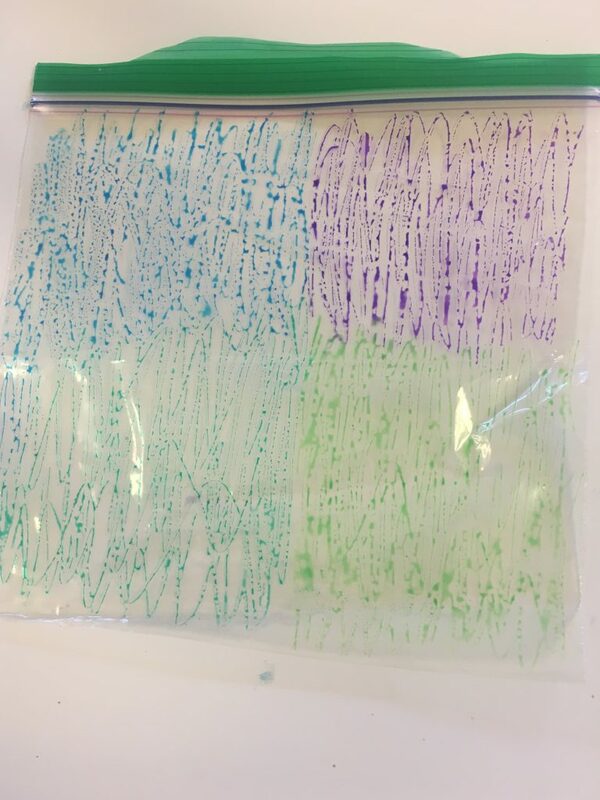 For the experiment, I colored a Ziploc bag four different colors with the markers. 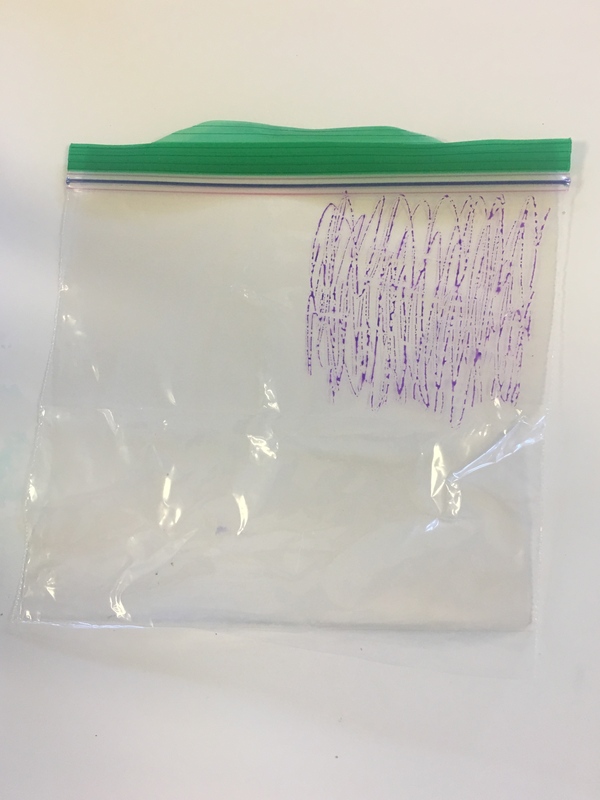 Then I added water to a white sheet of paper and rubbed the Ziploc bag onto the paper. After the paper dried, I had a beautiful watercolor background that I decided to draw on and decorate. Using Crayola Markers as paint is less messy and can be done within minutes. 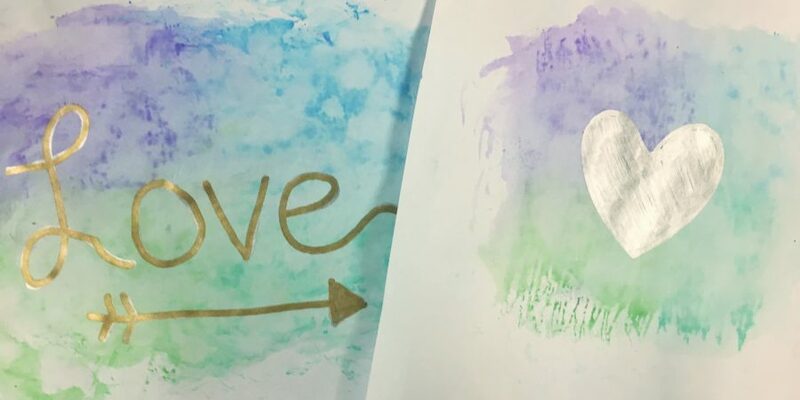 The watercolor background created with markers is an easy DIY painting for your home or office. 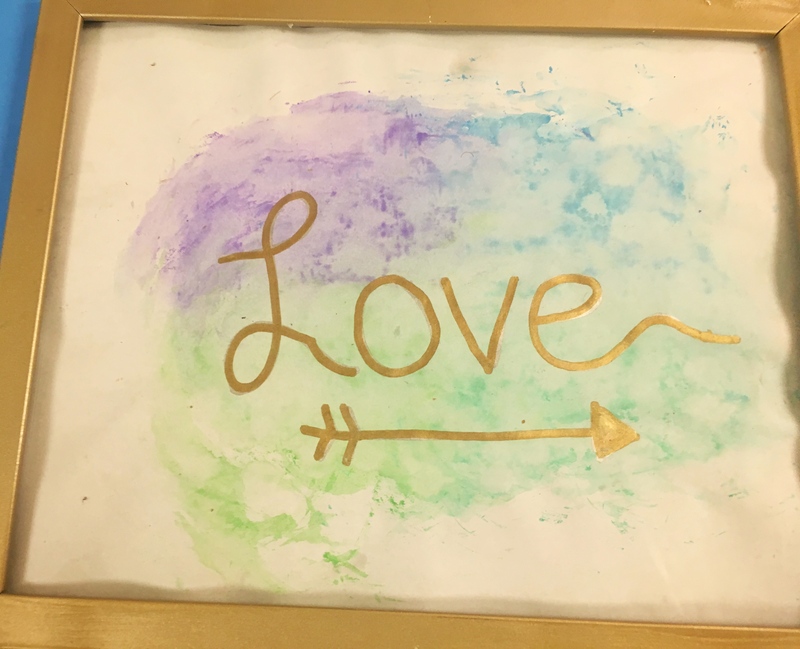 I decorated one of my watercolor background with a heart and the other one with the word, “love” and framed them. 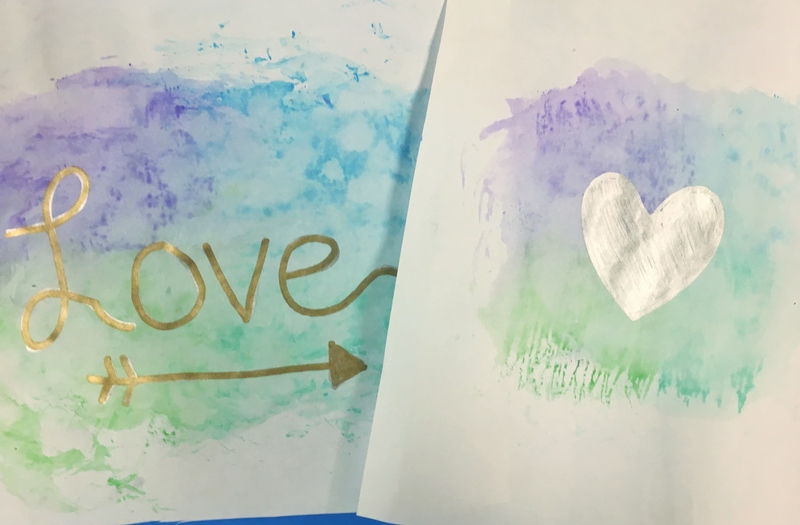 The nice thing about this craft is that you can create any background color using different marker colors and you can decorate them any way you’d like. Turning the markers into watercolors was very enjoyable. I don’t usually paint, and when I do, it doesn’t come out well. I felt like using the trick of turning markers into watercolors, it didn’t require painting skills. The backgrounds looked like they were done with paint brushes and that I mixed the paints together to create the colors. 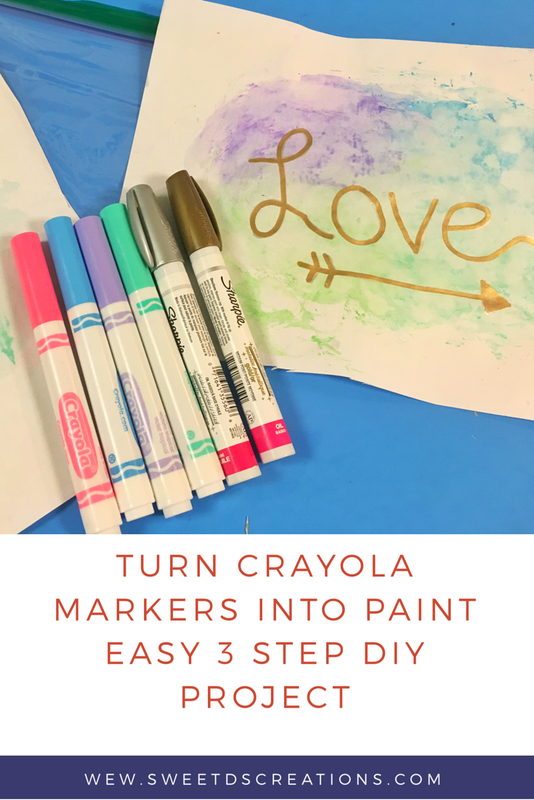 I outlined the steps with the markers below and I made a video to show how to do this simple project. 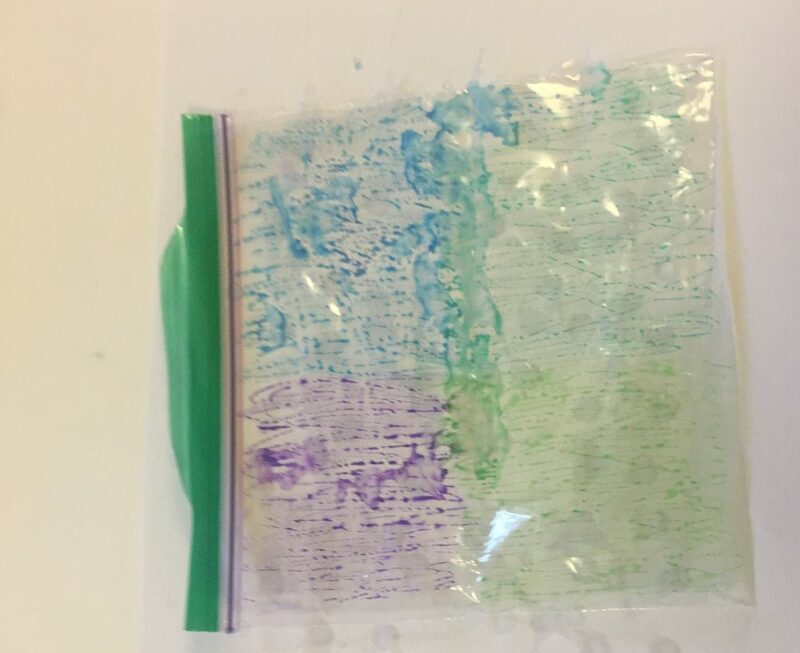 Take a Ziploc sandwich bag (If you are using a larger sheet of paper, use a larger Ziploc bag) and color it with marker colors of your choice. Take a sheet of paper and drop water everywhere you want the watercolors. 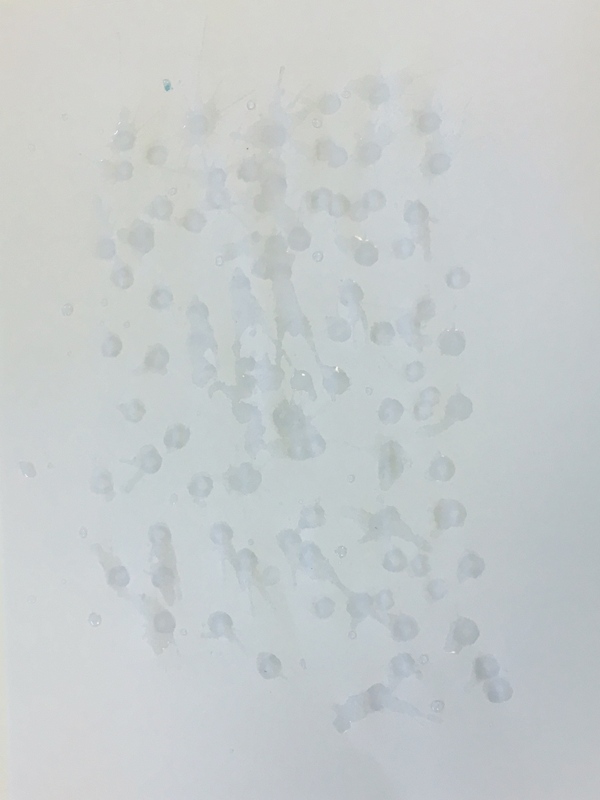 I used a straw to put the water on the paper. Rub the plastic bag all over the paper. Let the paper dry for an hour. Then decorate, frame and enjoy! I used a Matelic Sharpie Marker to draw hearts and words. This project brought a smile to my face and was very easy. I felt like an artist making the different backgrounds. 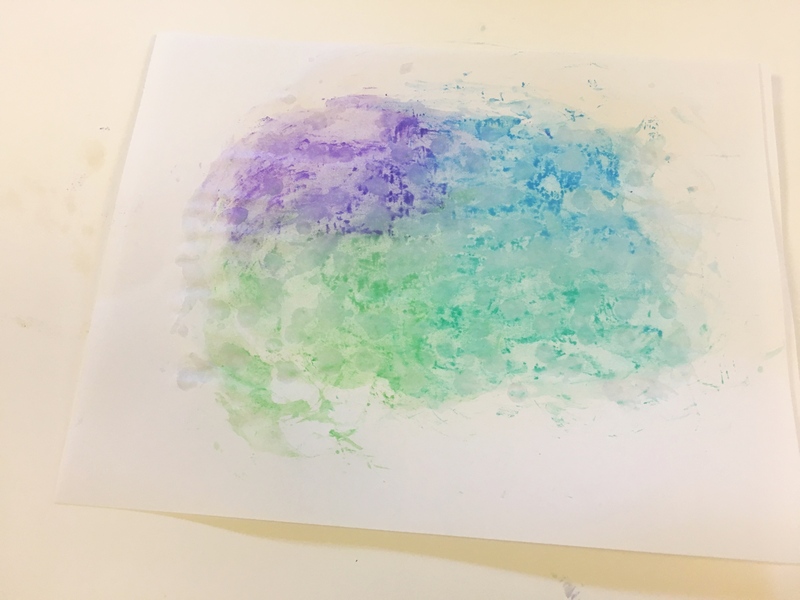 I found joy in being able to mix different marker colors to see how they blended together on the paper. What projects can you create using Crayola markers as paint? Are you ready to create your own art?